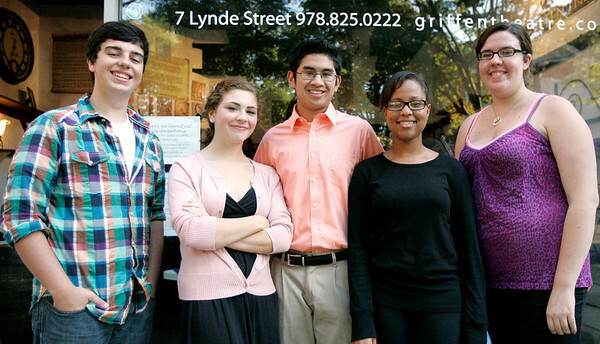 Salem: T.J. Lamando, far left, Alise Rittershaus, Tony Tran, Pamela Blaise, and Mariah Dooley stood outside the Griffen Theatre before their Friday night performances as a part of the Quiet Coyote Theater Company's "An Evening of One-Acts." In addition to their acting roles, Lamando and Dooley were also co-producers of the three one-act plays. Photo by Mary Catherine Adams/Salem News.